I MADE A DESK OUT OF AN OLD BEYOND RUSTY AND FORGOTTEN ABOUT - ProudMummy.com the Web's Community for Mums. I MADE A DESK OUT OF AN OLD BEYOND RUSTY AND FORGOTTEN ABOUT PICK UP. 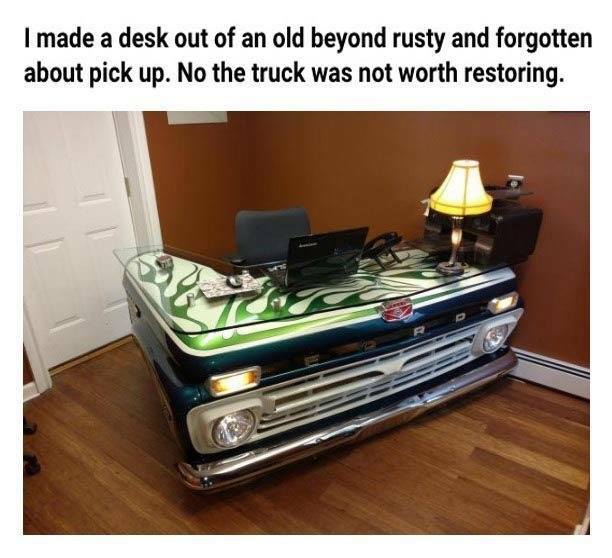 NO THE TRUCK WAS NOT WORTH RESTORING.